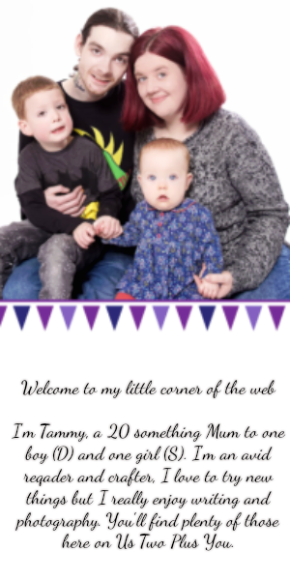 Since we moved house I have really liked the thought of having things in our home that are both beautiful and handmade by someone in our families! I have always loved having things that are Handmade by someone close to you, these items just mean so much more when you have had someone who loves you make them specially just for you. It also means you will have a completely unique and one off item that can never be made exactly the same again. 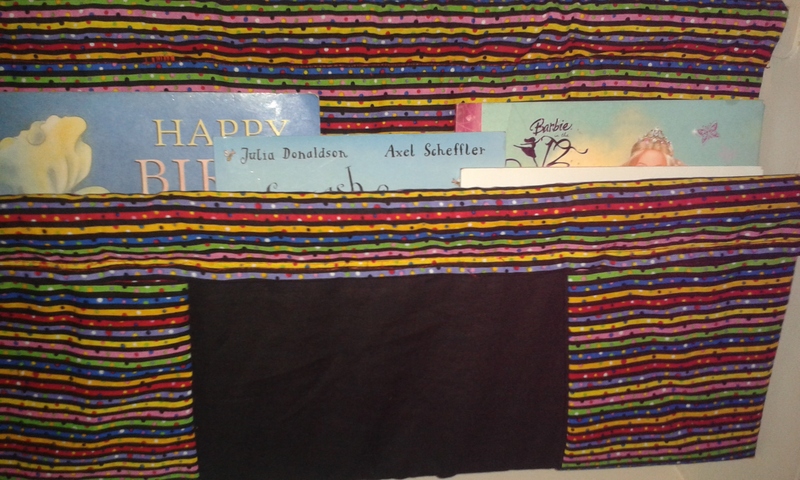 Today we are sharing with you the new bookcase for the kids room. D and Daddy's Uncle was very helpful and made D and Uncle L a bookcase frame for their room but this was not going to be any old bookcase! Oh no this bookcase is completely made by their Uncle and me. The whole thing is made out of recycled or old materials. 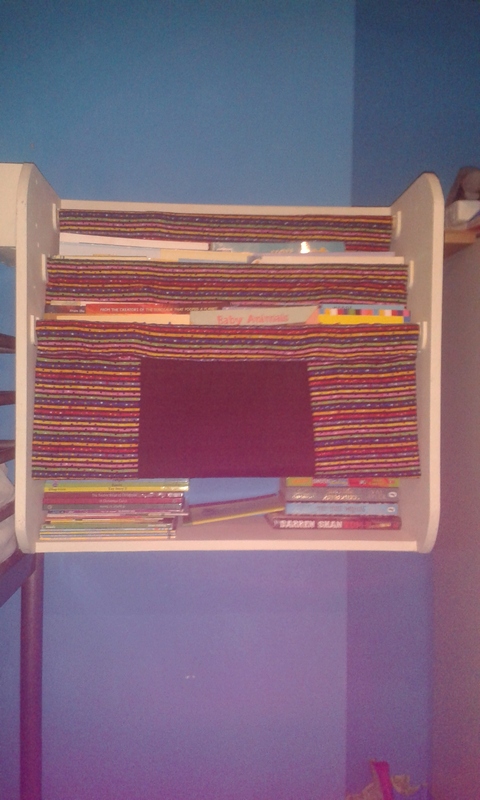 I must say I am incredibly proud of this book case as it is practical, useful, recycled, handmade and we know the person who had a part in making this! The bookcase frame is made from re purposed wood which was got from a recycling/ re purposing centre ( where their Uncle's family works) and 2 old brush poles that where cleaned painted and varnished! 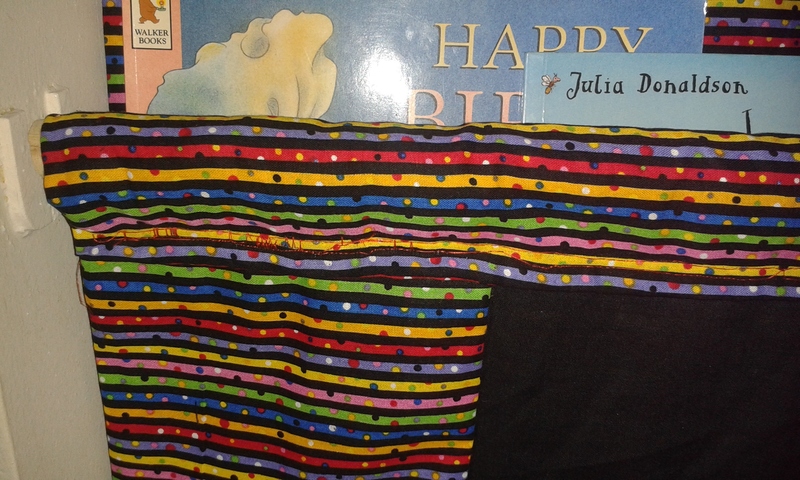 ( where their Uncle's family works), The material used is an old double sheet (Black) and the rest is a leftover piece of material that I bought to make D a pair of trouser's last year (They went horribly wrong!). An up close of the fabric, I love the design on this fabric. This is one shelf. A little closer than the full bookcase and gives you a good view of the first pocket. Up and ready to go, filled with books! I am very proud of being able to create beautiful things for our home by recycling. Have you ever tried to? Let me know in the comments! Have you made anything yourself?